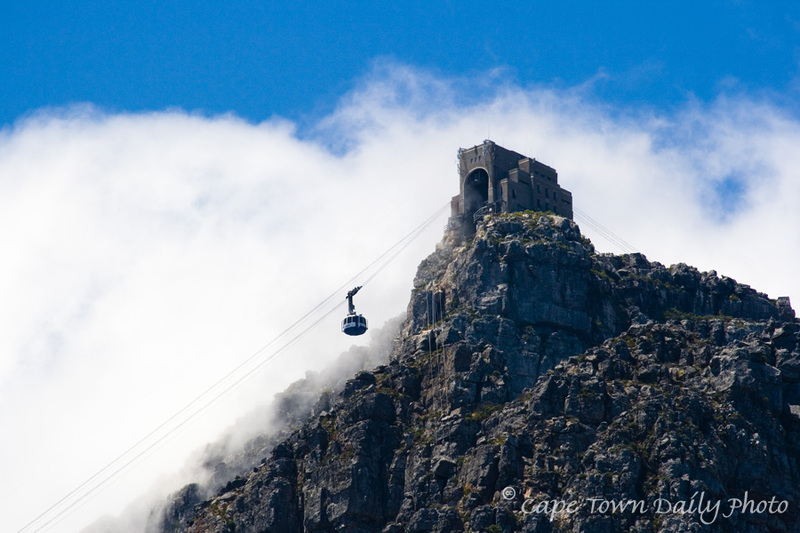 After taking yesterday's wide-angle shot I switched lenses to bring you this closeup of Table Mountain's cable station. If you're checking this blog in preparation for your visit to our lovely city, then you're about to come across a small bargain. Until the end of January the cableway is offering half-price on return tickets to everyone ascending the mountain after 18h00. At the moment the sun sets at 19h53, so you'll be treated to a spectacle of note as the it sinks below the horizon. On this special, the cost of a return ticket is R65 for adults and R34 for children (below the age of 18) - so visitors and locals alike, best you make a plan to get your tickets soon! See the cableway station from the air on WikiMapia. Posted in General on Friday, 14 December, 2007 by Paul.